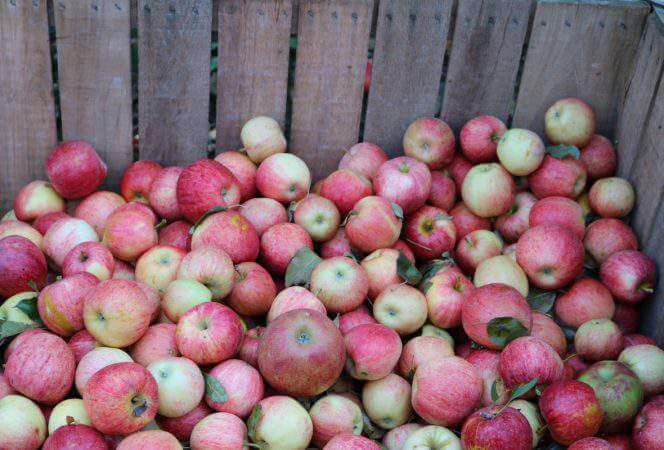 When our family moved to the Chicago area thirteen years ago, we were pleasantly surprised by the wealth of kid-friendly activities the city has to offer. Chicago almost feels like a city built with children’s entertainment in mind. 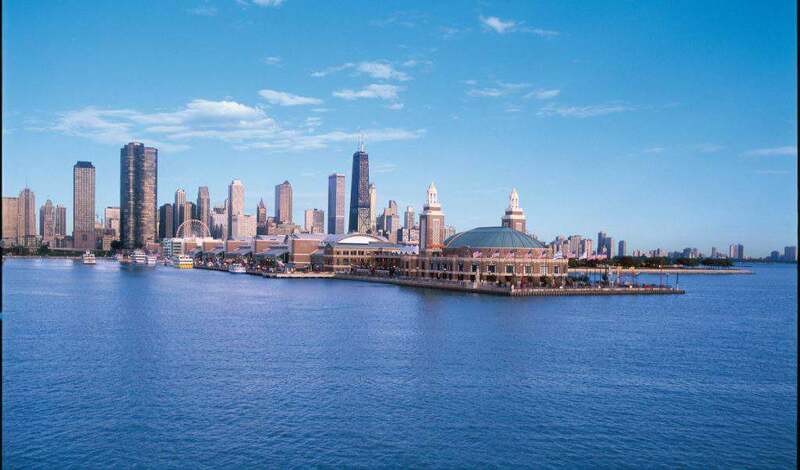 From the Lincoln Park Zoo to the Museum of Science and Industry, the city offers destinations for children of all ages, which makes it a perfect destination for a family getaway. Here’s what we think are the best Chicago attractions for families. *This post contains affiliate links. Opinions are 100% my own. Chicago is a city made for walking (maybe not in the dead of winter). Gorgeous architecture abounds, but there is also a sparkling lakefront, a charming river, world class restaurants and endless shopping. These are the features that make the city attractive to adults, but children find the city appealing for many other reasons. In creating this post, I decided that my kids would be the best ones to ask about their favorite Chicago attractions. Hopefully, their perspective will help guide you in choosing the sights you want to visit with your family. Located south of downtown in the Hyde Park neighborhood, MSI requires transportation via bus, train, or taxi if you do not have your own car. It is the one museum in town that my kids ask to visit over and over again. The building itself was originally built for the 1893 Columbian Exposition as the Palace of Fine Arts. Today it is home to a Zephyr train, U-505 submarine, and a Boeing 727. Yes, all of these fit inside the building and you can explore inside each one of them. The kids love exploring each and every exhibit, with their favorites being the vortex show, the model train railroad, and the baby chick hatchery. There is an IMAX theater with rotating content, just check the website before you go to find current events and exhibits. The museum may be further afield than other city attractions, but it is definitely worth the visit! Want to save money on Chicago attractions? 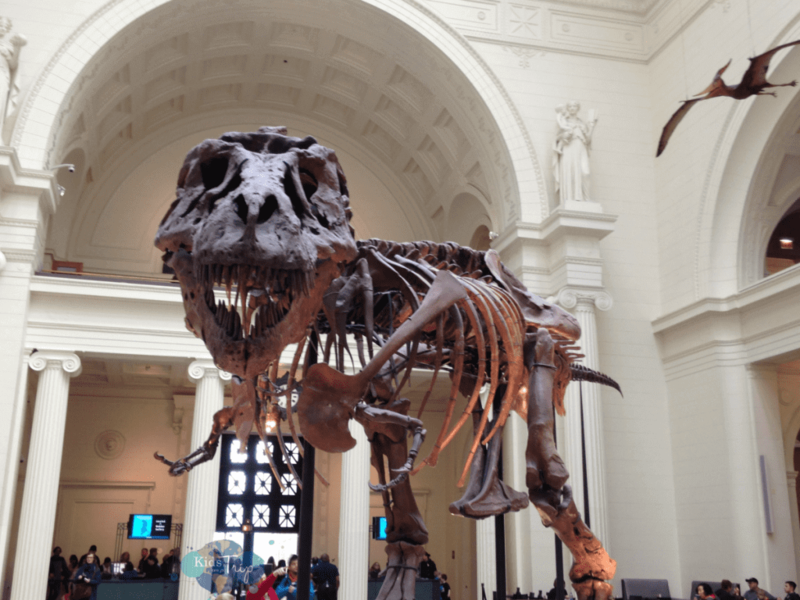 Try City Pass Save up to 53% on Chicago’s 5 best attractions with CityPASS. Shop Now! As a parent, I would consider this a one and done experience. Don’t waste your money if there is low visibility because the only reason to go is the view. I will say, kids go crazy for the experience, but my wallet thought the price tag for a family can be a big steep if you’re not getting a discount. Your money will buy you a brief history of the building, an elevator ride to the top floor, breathtaking 360° views of Chicago, and a chance to “step out” onto a 4 foot glass ledge 103 floors above ground, if that sort of thing appeals to you. This is a great photo opportunity and a chance to see and do something that is unique to Chicago. The kids will always remember the experience, and I guess that alone is worth the cost of admission. Millennium Park is centrally located along Michigan Avenue and provides a great place for a family to unwind. During the summer it is host to many free concerts, performances, and festivals, but the rest of the year it is a great place to gather and let the kids run free. 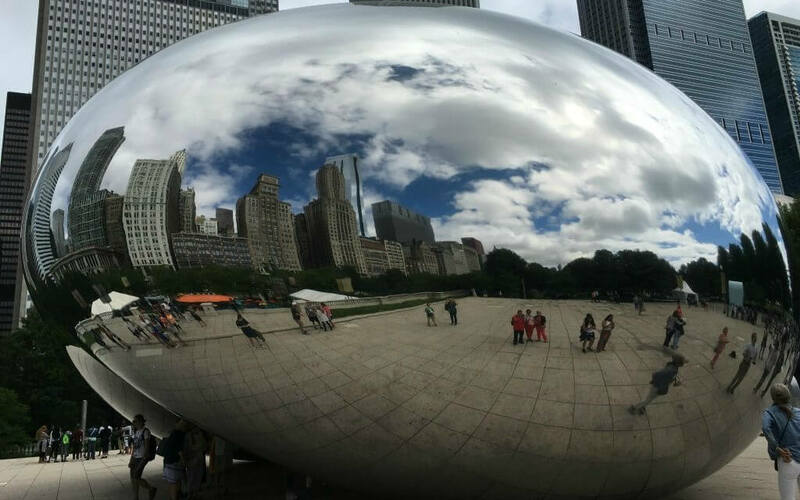 One of the main attractions is the 66 foot long sculpture known as “Cloud Gate”. My kids (and most Chicagoans) call it “The Bean” because it looks like a giant stainless steel bean. A reflection of the Chicago skyline can be seen from all sides and you can even walk underneath the sculpture. People from around the world stop here for their “fun house” photos and the kids want to visit every time we head downtown. Adjacent to this is the Crown Fountain and tons of wet, screaming children. The fountains are actually two separate fifty foot towers with images of Chicago residents on a giant video screen. When the face on the screen smiles, water comes pouring from their mouth, dousing the children that have gathered below. Next door is Maggie Daley Park, a 20 acre park with a wonderful play garden, climbing wall, and winter skating ribbon. Children will quickly decide to join in the fun. The best part about all of the above attractions: they’re free. These three museums are located in the area known as Museum Campus, next to Soldier Field (where the Chicago Bears play football). The kids ranked these above in their order of preference, and I’m inclined to agree. 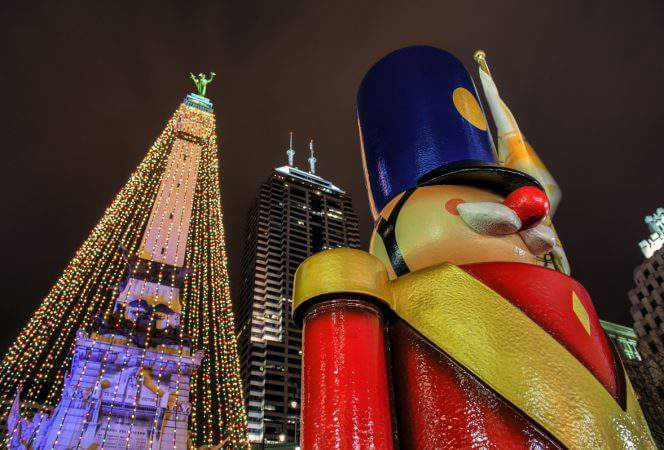 If you are going to see all three, you may want to look into the Chicago CityPASS which offers a combined discount when visiting all these sites, the Skydeck, and the Museum of Science and Industry. The Field Museum is great for all ages with its world famous T-rex skeleton, ancient Egyptian mummies, and newly restored Hall of Gems. There is a family play area on the lower level where kids can play musical instruments, dress in animal costumes, and dig for fossils. As a practical matter, there are a lot of stairs on the north and south side of the building, so if you have a stroller, use the entrance on the east. Also, lines tend to be shorter on the north side of the building since it is the furthest from the parking lot. You can read all about the ins and outs of the museum in my Traveling Mom post. The Adler Planetarium is not on my kids’ favorite list, but I thought I should mention it. The Adler is everything you would expect from a planetarium. 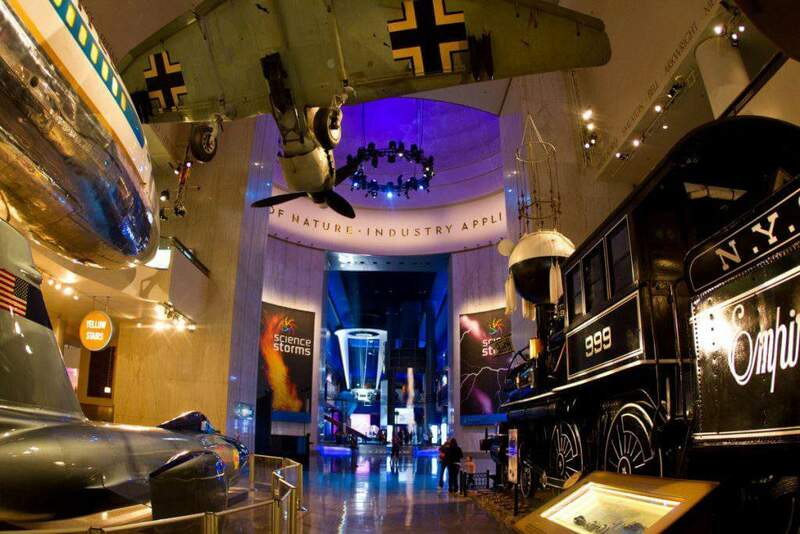 Exhibits revolve around space and stars, with some hands-on activities. It doesn’t take more than a couple of hours to see everything, but if you are short on time, skip it. The third museum on the campus is the Shedd Aquarium. If you have been to Sea World, do not go here. You will be hugely disappointed. The dolphin show is mediocre at best and the only redeeming animals are the beluga whales and penguins. The rest of the place consists of a bunch of fish in large aquariums. Great if you like that sort of thing, but even our kids think this place isn’t worth a visit. 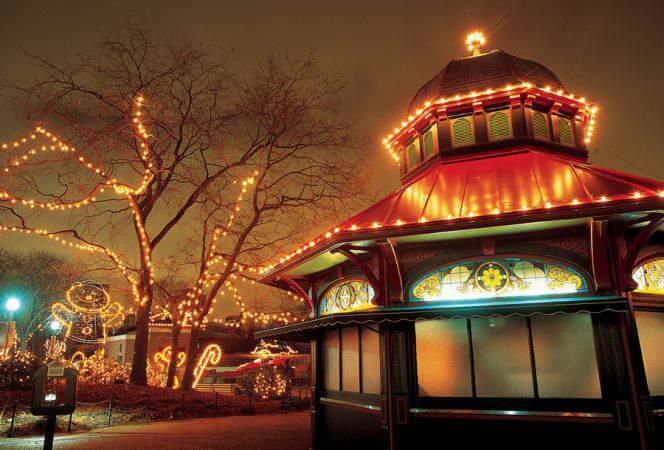 Located just north of downtown in the Lincoln Park neighborhood, you will find one of the very few zoos in the United States that has free admission. It does however, charge for parking, unless you find free parking on the street. Use public transportation if you don’t have a car. The kids will enjoy the gorillas and chimpanzees, the Children’s Zoo with its amazing climbing canopy, the carousel, and the farm area. The nicely manicured grounds provide a lovely background for strolling while visiting the animals. For a free city zoo, this really can’t be beat. If the weather is great, then Navy Pier is the place to be. I would describe it as a boardwalk/mall with a ferris wheel and children’s museum thrown in for good measure. During the summer, tourists and locals alike congregate at Navy Pier for bi-weekly fireworks in the evening and picnics along the lakefront. The Centennial Wheel provides a great view of the city day or night. There are many restaurants to choose from and it is easy to spend an afternoon on the pier. It is also the starting point for most waterfront tours. The Chicago Children’s Museum within Navy Pier is probably best suited for kids ages 9 and under. It features a climbing tower, dinosaur excavation pit, a water works station and many other play areas. Tons of fun for the little ones! Navy Pier will keep families busy all day long! The Art Institute is not your typical kids’ museum, but mine are always up for a visit. Admission for adults can be steep, but kids under 14 are free. The museum occasionally offers free days, so keep an eye out for those. The Art Institute will not appeal to all children, nor all ages, so if you know your kids don’t like art museums, skip this. The museum has two wings, the original building and the new modern wing. The highlights for our kids were the Impressionist rooms, the Medieval Arms and Armor room, and the Ancient and Byzantine collections. We like to play a game in each room to engage the kids. We call it “What’s My Favorite”. When we enter the room, everyone finds their favorite piece, and we take turns trying to guess which piece they have selected. Then we try to discuss their reason for choosing that particular piece. Wow, the things kids will say. The other steadfast rule we have is no one leaves a room before everyone is finished. This helps keep them corralled. If you want other ideas for keeping kids engaged at museums, check out this post on how to survive a museum with kids. Shockingly, my kids were pretty spot on with their choices. Midwesterners are friendly and Chicago is cleaner than most big cities. 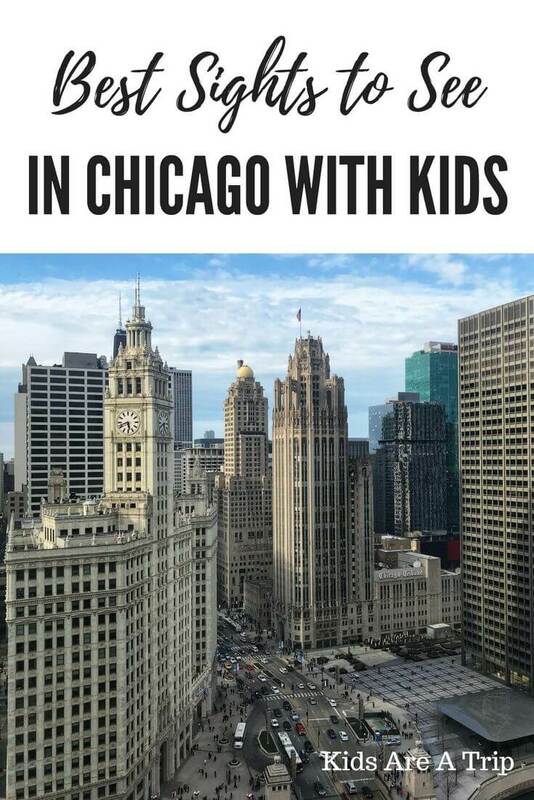 Bring the kids the next time you travel to Chicago. You won’t be disappointed. If you’re looking for a centrally located hotel, might we recommend Loews Chicago? You can see our how to survive a museum with kids.